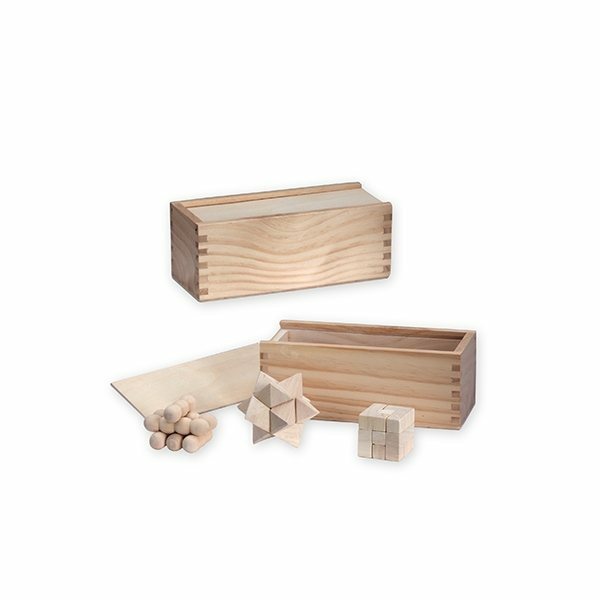 Three desktop puzzle games packaged in a wood box with a sliding lid. My customers love it. Thanks! Great promotional item. We used them on a hot summer day at a swimm meet. They were a great hit.